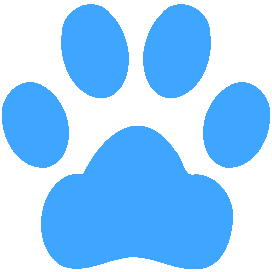 FindALostPet is a lost pet database, a place for you to post your pet if it wanders off and a place for people who want to report the lost pets they see to do so. There have been a couple lost pet databases before now, but none of them have been easy enough to use that they could actually be effective. We want to change that. To raise the funds to launch the website and app, we started an fundraising campaign on the online crowd-funding website, Indiegogo, with the help of a teacher at Inquiry Hub. Our goal was 500USD, but when the campaign closed after two weeks, our generous donors had raised 868USD, 174% of the goal. FindALostPet is built by four high school students in Coquitlam, Burnaby and White Rock, just out side Vancouver, Canada. Three of the four go to Inquiry Hub Secondary School in Coquitlam which encourages students to start projects like this. Stefan is the designer and artist who's been driving the project from the beginning. He keeps it on track and makes sure stuff's going in the right direction. Laef is the programmer, writer and designer who first came up with the idea. He writes the majority of the code behind the website and the underlying database, works on the design of stuff with Stefan writes most of the communications. Alin is the artist and designer who created the logo and many of the other graphics for the project. He tests stuff and makes stuff look cool. Brandon is the app designer and entrepreneur who works on the app and maintains the Facebook page. For him, FindALostPet is a side project as he develops With Attend, an app for company time-tracking, where he is CEO.